Cattle & Goat Oilers – BHF MFG Inc.
Cattle cannot get enough of the BHF Mfg. manufactured cattle & goal oilers!  This unique product provides some relief and enjoyment to cattle giving them the ability to self-apply the tank contents while also giving farmers an effective method of applying medicine to their herd. It has been observed on many occasions that newly installed units are sought after by cattle for weeks. BHF’s in-house manufactured cattle & goat oilers come in a wide variety of options with different features to meet the needs of any farmers. Manage flies, lice, fleas etc, and groom your cattle with our 2-in-1 cattle groomer & oilers.